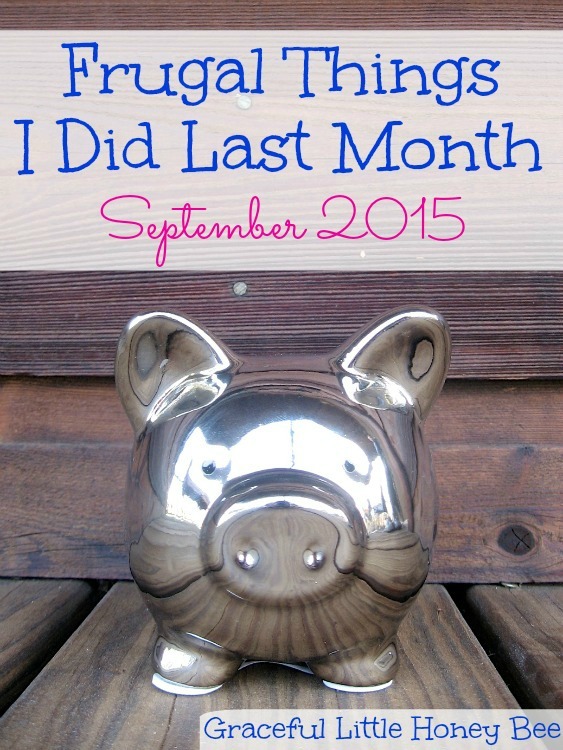 Join me here each month as I share some of the ways I saved money in hopes of inspiring your frugal journey! Soup season is here and I love it. Soups are a healthy and inexpensive way to feed your family. I made several varieties last month including Slow Cooker Chicken Noodle Soup and Slow Cooker Corn and Potato Chowder. I crocheted a baby bonnet for a friend using yarn that I already had on hand. I love making baby gifts, especially when it saves me money. Here is the pattern that I used for the bonnet. It’s my favorite. I’ve made several for my daughter. I used a smaller hook and reduced the amount of rows for a 0-3 month size. Going meatless a few times a month is a great way to save on your grocery bill. Some of our favorite meat free meals that we enjoyed last month were Slow Cooker Pinto Beans and Freezer Bean and Cheese Burritos. I try to do most of my grocery shopping at Aldi because they have the best prices, but when I need to go to Wal-Mart I make sure to use the Savings Catcher app. All you do is scan your receipt and it will give you cash back if it finds cheaper prices in your area. I also love to use Ibotta which is another great rebate app. They have several different rebates each week that you can get cash back on including generic things such as milk or fresh produce. I’ve been trying to get back into shape lately and instead of getting a monthly gym subscription I’ve been doing FREE workouts on YouTube and also going on walks as a family. What frugal things have you done lately?